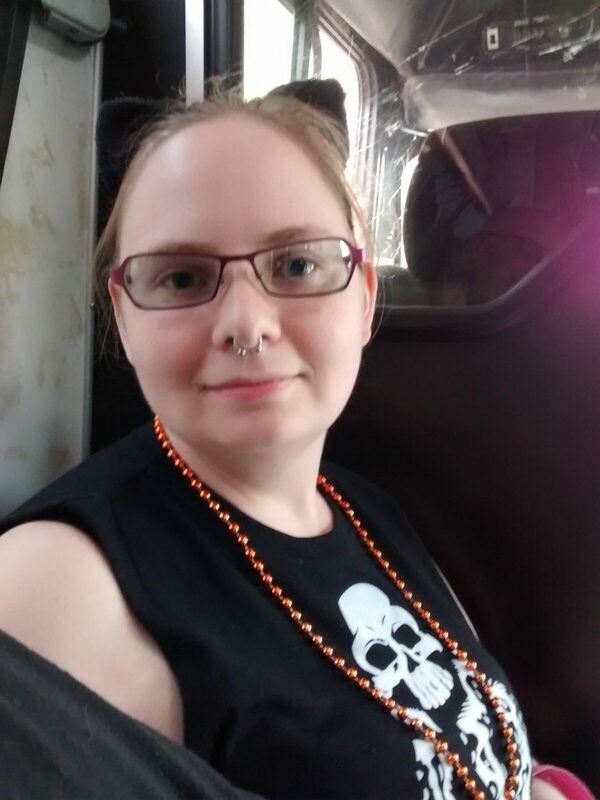 It took me a while to write this post, but that’s entirely because Master had the photos on his phone, and he was too busy to send them to me until today. Whoops! Last Friday there was a blue moon, so Master and me thought it would be fun to go downtown for the evening. We didn’t really do a whole lot of anything. There was a concert going on, and little things on the street. We just wound up meandering here and there and sipping tea and Gatorade. It was nice. It has been a long time since I’ve been up for anything like that and we both had so much fun. We didn’t get any good pictures of the moon, but it was just gorgeous. Sunday I had my infusion, and afterwards I was really full of energy. 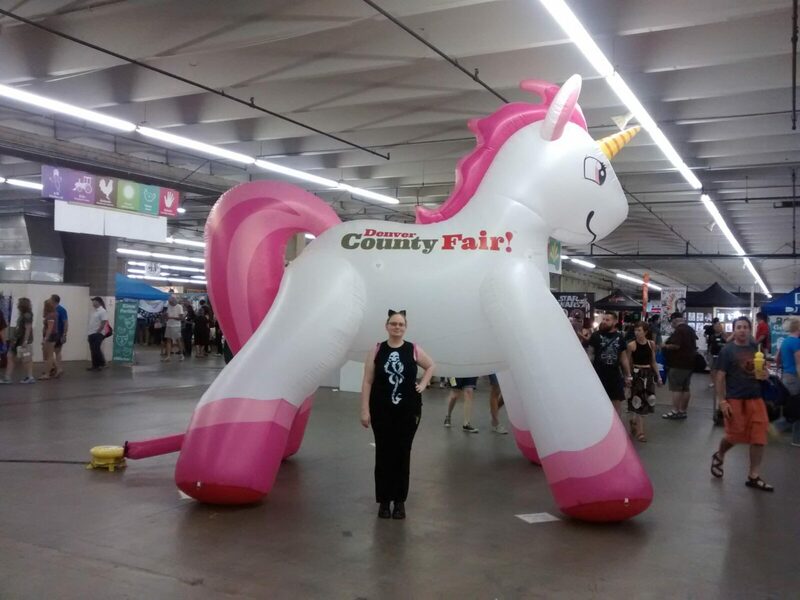 I had so much energy that Master thought it would be a waste of a day for us to stay at home, so we decided to go to the Denver County Fair. It was awesome! We stayed about three hours before the heat was getting to us (we were mainly in the indoors section, and there were about a million people there. Kinda.) but overall it was still pretty awesome. 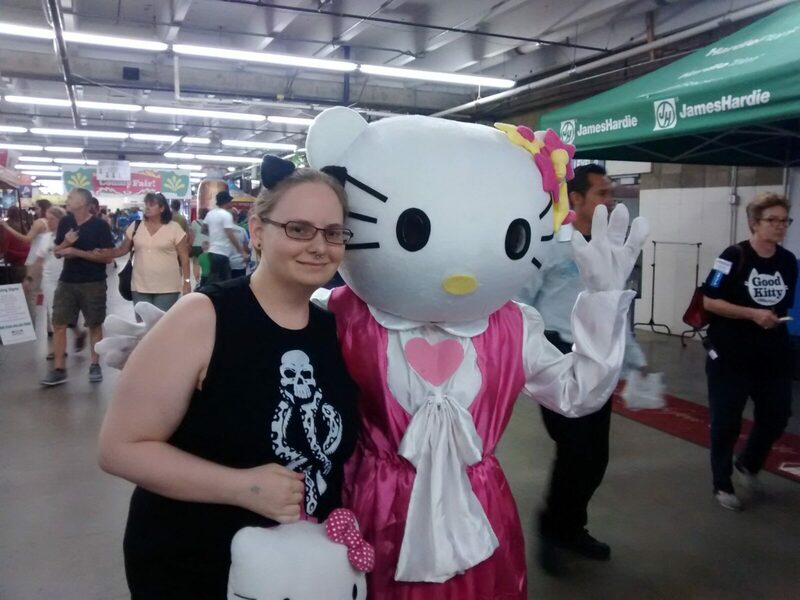 I mean, for starters I got to meet Hello Kitty! She kind of ran over to me and poked me on the back while we were waiting in line for a drink. She pointed out my Hello Kitty backback and I giggled. I was too shy to take a picture with her right then. (Gawd, I get nervous for the strangest reasons), but Master tracked her down later and we got pics then. I’m weird. Whatev. 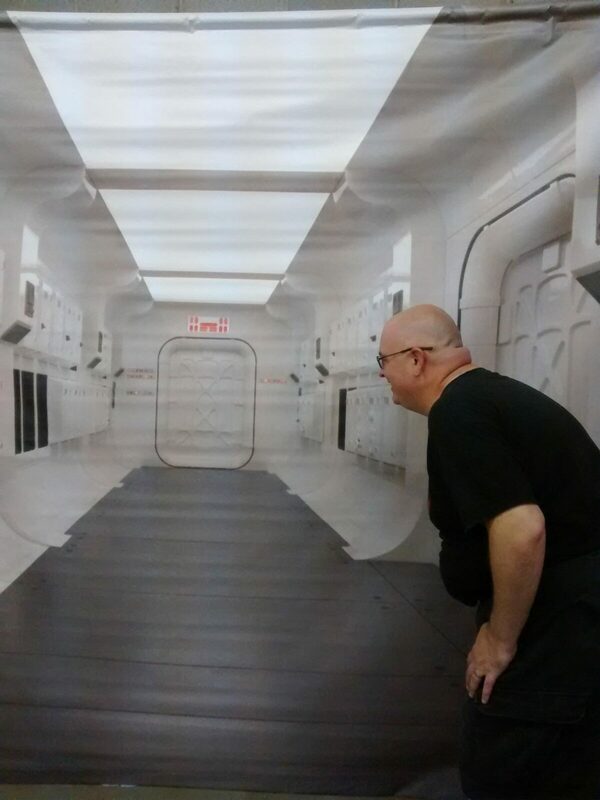 Can’t keep Master out of space ships, ever man. He let me go in, and bought me a cup of food to feed the animals. 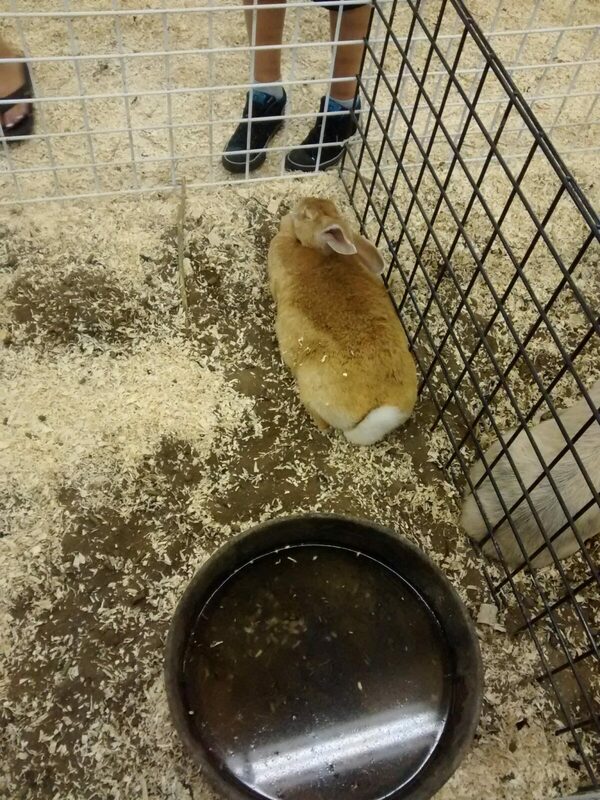 I’ve been to a lot of petting zoos, but this one just made me sad. None of the animals wanted to eat anything, and they were all completely lethargic and despondant. It was just sad. Even just petting them they didn’t even really acknowledge that anyone was there, you know? I have never seen anything like it, and I’ve seen a lot of petting zoos. There were chickens (which I didn’t get to touch because there was always a line), and miniature horses, and goats and sheep, and a pig! 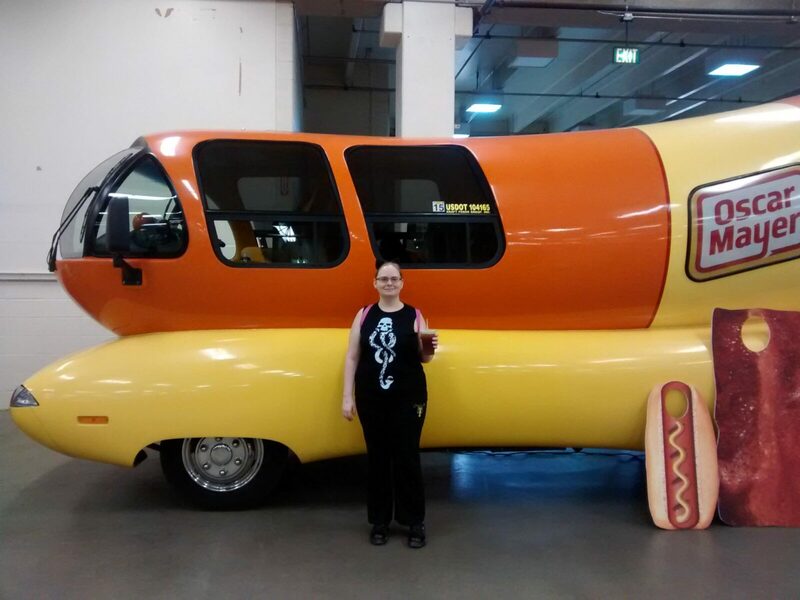 Okay, so, the thing about the Weinermobile is that I’ve always wanted to see it. We tried to see it once when it was at our local grocery store, but we missed it by about a half hour. Bummer. I started jumping up and down when I saw it this time. I guess I’m kind of a kid at heart. Got a picture in front of it to prove that I’ve seen it. HA! Master also did tea dueling, but he got disqualified. I mean, I don’t think it was fair, but he’s my Master so I’m always going to be on his side. Basically, the person he was dueling had done the demonstration round. Both Master and the guy he was dueling won, so it was a tie. Master did a neater job, which the host pointed out, but as the other guy did the demonstration round they gave him points for that. Which kind of seemed unfair to me, because anyone he went against wouldn’t have had the bonus of being able to have one winning round. But, it’s okay. It was still fun. There’s a picture of me that Master shot on our way home on the bus. It was a lot of fun, and it let us get out of the house a bit. I definitely wouldn’t mind going next year. @MrsTeePot I hope it was just the heat. I felt so bad for them. :( I’m glad I’m not the only one who thought the tea duel was unfair! I mean, not that I was gonna argue.. Still! Love your shirt! I’m glad you guys had a great time. I love zoos, but I am always depressed if the animals seem ill-treated or sad. @Lea Yeah, same here. There are some amazing zoos (petting included) that take great care of their animals, and there are awful zoos (like anything else). I don’t like seeing animals abused, etc, but I think that bad zoos are the exception, not the rule.